I have a horrible, terrible, no-good, very-bad confession to share. I have never in my life had renter’s insurance. Even though I rented for years. IT IS A MIRACLE I AM STILL HERE. And if you’re sitting there thinking I’m exaggerating, I am 100% not. Current Me could not be more appalled that Past Me was so hideously careless about literally my entire earthly possessions. Here’s what happened. When I was still a student, and I moved into my first rental apartment, it was the kind of place where you deal directly with the landlord, and your rent is a whopping $350 a month (so nothing too… formal, let’s say). If anyone told me I needed renter’s insurance (also known as tenant insurance) I straight up didn’t listen. I was 19 and invincible! So when I moved out for good, into a real-life rental, it just never occurred to me that it was something I needed. I was dealing directly with a landlord again, and the set-up was much too informal to have anything close to a “you need to buy renter’s insurance” clause in my lease. But it should have. Holy heck it should have. Everyone should have renter’s insurance if they are renting, and here’s why. When you’re renting, the worst part (in my opinion) is that every time you have to move, you have to pack up all of your earthly possessions and schlep them to a new place. Nothing will make you contemplate minimalism, and paring down a la Cait Flanders, like moving all of your things. And nothing will make you wish you had renter’s insurance like losing all of your things. How Much Does Your Stuff Cost? Here’s a fun horrifying personal finance hypothetical for you. If your apartment burnt to the ground, because that iffy electrical got the better of it, how much would it cost to replace everything that burnt down with it? Your computer? Your clothes? Your bed? (Mattresses are not cheap.) Your books? (NOT THE BOOKS!) Maybe a couch, or some equipment for your favourite hobbies? I’m betting it’s a not-insignificant number. Probably more than you can easily pay out of pocket, in the worst case scenario. But you know what is an insignificant number? I ran a quote on Sonnet Insurance (my current car and home insurance company) based on the wonderfully cheap apartment I rented when I was just out of school, because it was the only one that fit into my teeny new-grad budget. It would have cost me $16.92 for the mid-range package! Not even the super-cheap one! Even I could have afforded that on my ~$2000 a month salary. You know what I could not have afforded? Replacing all of my stuff if the place burned down or was robbed. I also could not have afforded getting sued if someone got hurt on my “property”, or replacing my work laptop if it was stolen from my place when I brought it home. Renter’s insurance would have covered those things. My savings? Not so much. Although renter’s insurance should have been my first insurance purchase, it was not. 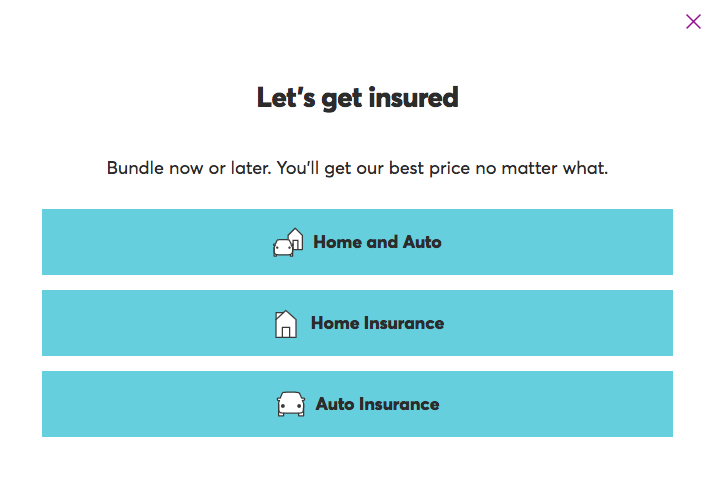 The first time I “had” to get insurance was when I bought my car, and you can read all about how clueless I was about that process right here. That’s why I want to end this with a totally-not-sponsored, totally-not-affiliate-linked walk-through of how you can buy renter’s insurance online, in about five minutes, without having to call anyone or getting an awkward phone pitch as soon as you confirm your information. It’s called Sonnet Insurance. It seems weird until you get to the next screen, where you can put in that you’re renting your place, and what kind of place it is. Once you’ve done that, and put in your address, Sonnet will generate three quotes for you, based on how much coverage you need (in regular person words). After you choose the one that looks the best to you (the big things to look at are the liability coverage and the personal belongings coverage) you’ll be taken to a screen that explains every part of your potential-new-policy in detail. You can customize it based on what you really need, and the language is clear enough to help you actually know what that is. Take the personal belongings coverage. It gives you a clear overview of what it covers, and you can choose an amount that makes the most sense for you, based on how much stuff you have, and how valuable it is. When you’re ready to rock and roll, all you have to do is click “Buy Now” to buy your insurance online. 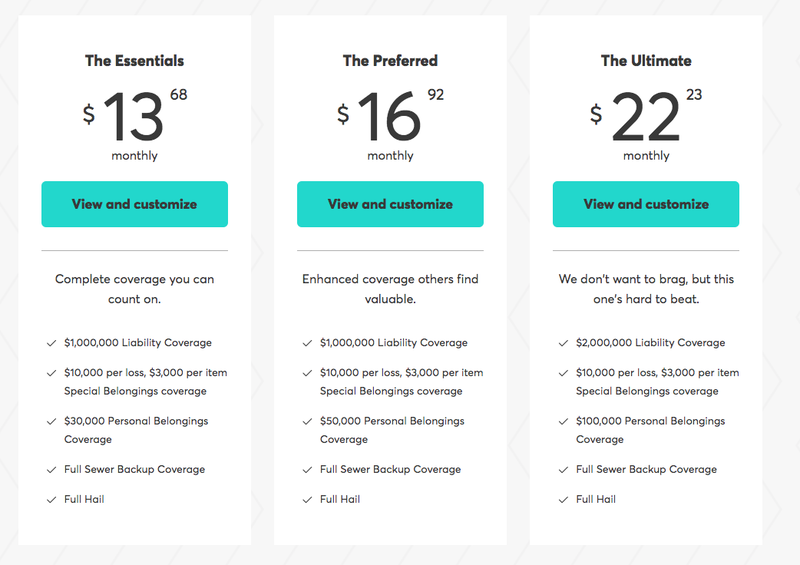 If you do want to shop around, you can compare different rates for your required coverage on Lowestrates.ca, and if you select a quote there, usually you can just connect with one of their agents and buy it on the phone as well. GET RENTER’S INSURANCE OMG DO NOT BE ME ON THIS. Understand and be happy with the amount of coverage you have. If you would need more coverage in the worst case scenario, it is so worth paying the extra $3 a month to get it. That’s all. That is all I want you to take out of this post. You need renter’s insurance, and it’s so h*ckin’ easy to buy that you officially have no excuse. Think of how good it will feel to cross such a strong 2018 to-do off your list in under five minutes. And to build on this, disability insurance is even more important, and not something your landlord might poke you to get. For this insurance, it’s easy to downplay how much stuff you have, especially when starting out: “no way I have $30k worth of stuff, I’ve barely made that much in my whole life!” — me at 24 when that was the minimum coverage level. But just because I had a hand-me-down everything at that point that came free or nearly free didn’t mean I could replace all my stuff for free again if it burned down. In that scenario I wouldn’t have years to replace everything, I’d have to go shop for mostly new stuff, which would have got up into that 5-digit range. I am super surprised to hear this!! I actually thought insurance was required! When I rented my first apartment (albeit through a management company) I definitely had to provide proof of insurance when I signed my lease! Which is such a huge perk of working with a major management company slash any management company! I’m sure any and all of my friends who rented in a bigger building or through a management network all had insurance, lol. I just opted for non-level floors, really sketchy plumbing, appliances that worked according to the position of the moon, and not getting insurance. Such pro calls back then, haha, but I can’t complain because my rent was under $500. I just wanted to say thanks. Your post finally got me to purchase insurance. I’ve been renting for almost a year and did shop around a couple months ago but never purchased anything. Your post inspired me to final get renter’s insurance. Keep up the great work! That’s so awesome K, congrats! Thank you for sharing this! !